You can have confidence in VIC MIX for all your concrete technical needs. We have the knowledge and experience to support you with most questions concerning concrete and if we can’t answer your question, we usually know who can. We can provide general advice for common concrete defects including (but not limited to): cracking, blistering and delamination, efflorescence, aggregate transparency, discolouration, honeycombing, dusting, and pitting. Please understand any advice provided is done so in good faith and with the intention to be helpful. If information is required in writing, or involves a despute of some kind, then we recommend you contact an independent Concrete Technologist who is capable of undertaking a site assessment and producing a detailed report concerning any defects in or on the surface of the concrete structure. Vic Mix can assist with contact details for suitably qualified Technologists. When you use VIC MIX products, you can have the confidence that a system of testing and monitoring ensures products will perform as intended. Products are regularly tested for strength in accordance with relevant Australian Standards by independent NATA registered laboratories and concrete technicians. 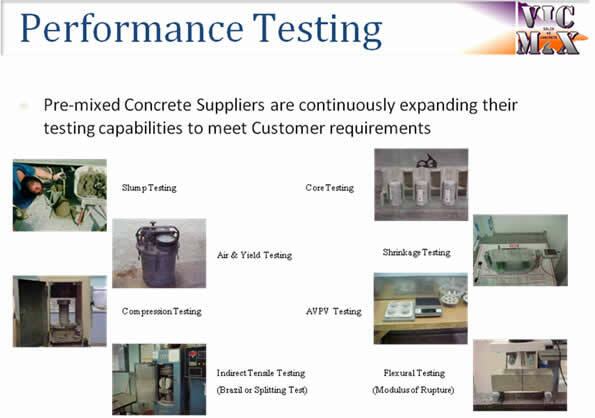 A good range of industry accepted test methods is available to the customer for verification of concrete performance. 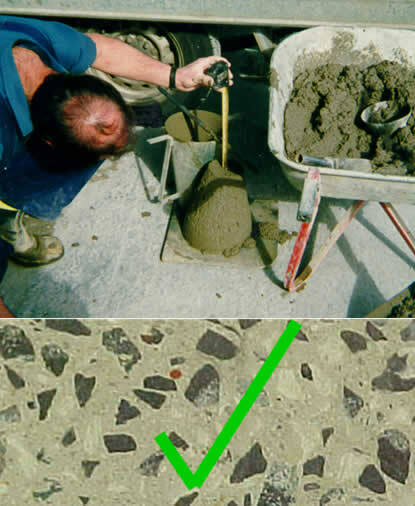 Some methods require sampling of the concrete whilst plastic and others are taken from the in-situ structure after the concrete has hardened. Furthermore, “state of the art” technology built into the manufacturing plant ensures accuracy of batching and control of all processes from order taking through to delivery of the concrete. Recording system (paper & electronic) provide traceability of individual batches back to raw constituent materials such as cement, stone and sand. There is a rust mark on my new driveway. What is it and how do I fix it? 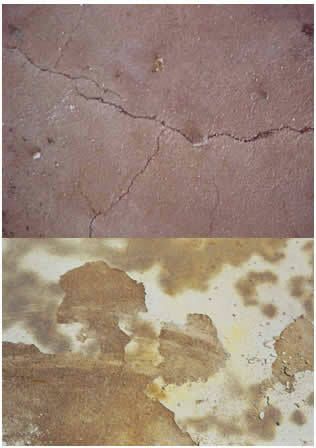 There are a multitude of causes that can result in Rust Stains on the surface of concrete. This document deals specifically with rust coloured stains created by “Ironstone” on the surface of Exposed Aggregate Concrete. Ironstone is the common term used to describe aggregate and stone particles that are rich in iron oxide minerals. The presence of Ironstone is easily identified. In most cases, the presence of such particles near the surface of Exposed Aggregate will become apparent over a short period of time. The particles themselves are generally dark in appearance and hard to visually differentiate from other stone particles, but when the stone begins to breakdown and oxidise, a (rust coloured) leachate stream is produced that stains the surrounding concrete and marks the location of each and every ironstone particle. The great news is, it is completely repairable and here is how to do it. For those that would like a more detailed explanation, please download the following document. Do you have a written specification or set of drawings detailing the performance requirements of the concrete needed for the project? Do you have concerns about any of the specified requirements? Such as: microstrain shrinkage, flexural or tensile strength, early age strength limitation, non-chloride additives, maximum water cement ratios, GP or GB cement types, normal vs special class, fibres, mineral oxide pigments, water proofing additives, testing requirements, etc, etc. Want to reassure yourself that you get the right concrete for the job? The easy answer is to send us the information and let us help you interpret and recommend cost effective products suitable for the project. We have the expertise and experience to support you with construction documentation.